It’s that time of the year again. Leaves are falling. Days are getting shorter. And once again I find myself going back to the same handful of albums that I listen to during this annual transition. One of those albums is Sparklehorse’s 2006 release, Dreamt For Light Years In The Belly Of A Mountain. I never actively seek out this album during this time of year. It just kind of naturally happens. I guess that makes sense given that the first track on the album is titled, “Don’t Take My Sunshine Away.” The album has a unique, blend of indie rock, lo-fi, folk, and tamed electronic music that Danger Mouse contributed. The album evokes that strange feeling you experience when things are rapidly changing, but you still feel a sense of control. There’s a comfort in knowing that the change is meant to be uncomfortable. 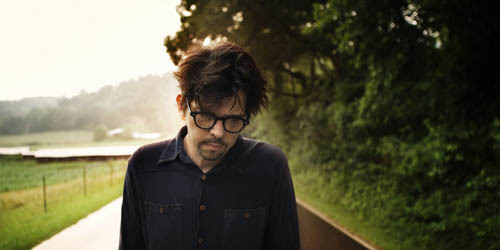 Sparklehorse was the project of singer/songwriter, Mark Linkous, and this was his fourth and final album before he passed away in 2010. Linksous battled depression and drug addiction during the course of his life, which you’ll notice particularly on his other albums, and the cause of death was sadly suicide. The silver lining is that Linkous has joined a small group of musicians whose music will continue to be played with the changes of the seasons for years to come.